I spent my last weekend in Semarang, a city near to Yogyakarta. I have visited Semarang three times in my life. Semarang is around 130 km up north from Jogjakarta and 1 hour by plane from Jakarta. I always think that Semarang is more like a business city, rather than a tourism area. Last weekend marked the first time I spent several days in this city and I loved it. I’ll share a bit about #TravelNBlog 3 first and will let you know why I get smitten with Semarang later. If this is the first time you have heard about #TravelNBlog, go help yourself by check out the first workshop in Jakarta and the second one in Bandung. 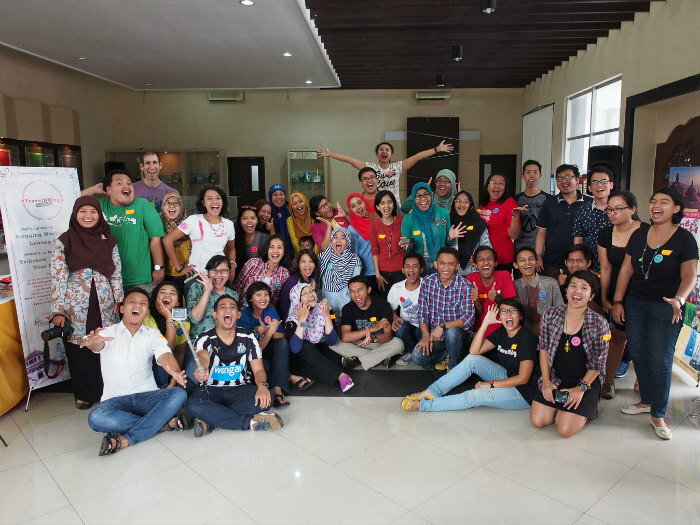 In a super sort of way, #TravelNBlog is a workshop about travel blogging in Indonesia. The travel blogging workshop, #TravelNBlog 3, was held over two days. The first day was a full workshop, followed by a tour to Lawang Sewu (one of Semarang landmarks). Day two was a tour around Kota Lama and a talkshow. All of us arrived in Semarang on Friday, 27th March 2015. Ezytravel provided flight tickets for the committee and speakers of the event. Right after check in to the hotel, we went out to the Tourism Information Center (TIC) in Pemuda street – the venue of the workshop. We basically checked out things, set things up, and made final preparations for the workshop and spent a lot of time at TIC. The first day was packed with workshop. It started with @AryMozta sharing about Blog Construction and insisting we use the #nendangbokong (or #KickAss in English) hastag. AryMozta shared a lot of useful information about building a blog. The session was followed with Enrich Your Story by @ArievRahman. Ariev started the presentation by sharing the mini survey that he hosted about travel blog and talked about content. After lunch break @WiraNurmansyah talked about Travel Photography. This was followed by Managing Your Travel Blog presented by me and @Lucianancy who was more focused on talking about how to use Social Media to support your blog. After all the workshops were finished, we walked from TIC to Lawang Sewu. Lawang Sewu is one of the most famous landmarks in Semarang. Lawang Sewu, which can be translated to “Thousand doors” in English, is a beautiful old building that was the Nederlandsch Indische Spoorweg Maatschappij, the first railway company in the Dutch East Indies (built in 1900-ish). Day two was more relaxed than day one, plus so much fun! All the participants of #TravelNBlog 3 gathered at the Sri Gunting park, which was the meeting point to explore the Kota Lama (old town) Semarang. All the participants, with the committee rode the tourism double decker bus Semar Jawi. We did a big loop of the Kota Lama area. The journey took around 45 minutes. After the Kota Lama tour with Semar Jawi, all the participants rode back to TIC and ordered a Blue Bird taxi through the app. Oh yes, Blue Bird app can be used to order taxis not only in Jakarta, but also in Semarang, Surabaya, Medan and also Bali. Back in TIC, the participants needed to blog about their experience exploring Kota Lama Semarang on the Blog on The Spot session. All the participants were so great because they able to explore Kota Lama under the heat, capture great photos and then write and publish a story in less than 5 hours. Don’t you think they are all awesome? They were also supported by Smartfren who provided the internet connection for publishing the content. Mr. Albertus Kriswandhono, a member of BPK2L (Badan Pengelola Kawasan Kota Lama) / Old Town Area Management Board, also took the time to attend the #TravelNBlog 3 event. He gave a short explanation about Kota Lama. We also watched a short film (<10 minutes) about Kota Lama. The workshop participants were very keen to discuss the various issues connected to Kota Lama with Mr. Kris. The role of bloggers in writing about their areas tourism potential was the topic of the talk show with FahmiAnhar and Vira from Indohoy. The discussion covered many issues, ranging from how they both started blogging, future plans, what they think about travel bloggers in Indonesia and some tips and tricks on how bloggers can contribute to promoting tourism in Indonesia. Blog on the spot winners! Go check them out! 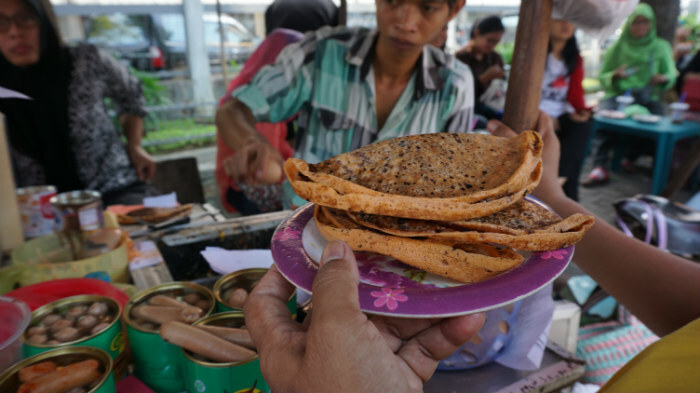 I promised to tell you why I was instantly smitten with Semarang, right? Though Semarang has the charming Kota Lama (old town) area, Lawang Sewu and some other city landmarks, the most sweet and memorable things about the city are its people. People from Semarang are so warm and friendly. They love to start a conversation with tourists (yes, I do consider myself a tourist in Semarang). It is all about the little things. I remember how a middle aged woman greeted me when I was busy taking photos at Lekker Paimo. She noticed that I was a tourist (absolutely because I was busy with my camera) and she kindly asked where I originally came from. When she said goodbye she said “Have a great time in Semarang”. You got me, right? Little things matter. 🙂 This was just one of more than five lovely experiences that I had with locals in Semarang. I’ll be back Semarang! To eat more food, to discover more places and to hang out with locals. Gladly, most of the time cheap air flight tickets from Jakarta to Semarang aren’t difficult to get, plus it is easy to reach by mini bus (travel mini bus) from Jogjakarta. It seems like the universe supports me to explore the capital of Central Java. Either I’ll start the journey from Jakarta or Jogjakarta. Thanks to the below sponsors for supporting us and providing us with a super awesome goodie bag that we could present to the #TravelNBlog 3 participants: GagasMedia and Getaway! Magazine who also acted as our media partners, Urban Icon, Wego Indonesia, Indonesia Tourism Board and the one and only Central Java Tourism Board. So much thanks for everyone who supported us! You guys are beyond awesome! We have a blogging competition now! It is open until April 5, 2015. Please check this link to learn more about it. I hope you join! Thank you @WiraNurmasyah for (almost) all the photos. Video by Tekno Bolang of lostpacker.com ~ Love the video to the moon and back! Thanks a lot. Previous post 5 Reasons Why Elephants are so Cool! 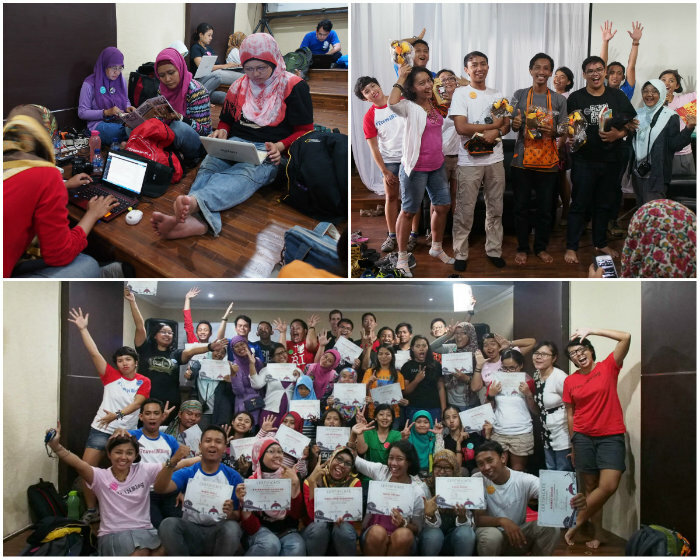 #TravelNBlog 2: Travel Blogging Workshop plus Photo & Share event in Bandung! oooh, I have some fun last weekend. I always love this Semarang city, especially because I always have a home which is I could lay my body and sleep, and a few person who will pick me and take me anywhere I want. My hometown! 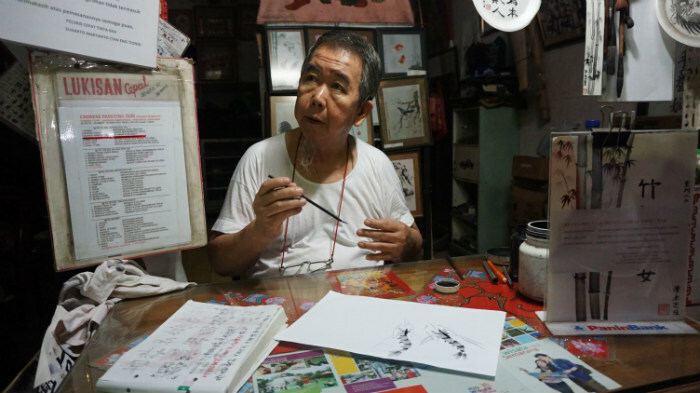 Did you manage to visit Toko Oen? I spend my last weekend in your city and packed with weddings -_- hahaha. Hayooo ke Semarang, Mei… Trus naik Semarjawi dan mamam Lekker. Thanks for hosting such a lovely workshop. TravelNBlog3 really bring betterment in my blog, both for content and visitor. Meet new friends and have vacation together.. and yeah of course the prize from blog comp… it’s really useful 😀 Can’t wait for next workshop !!! 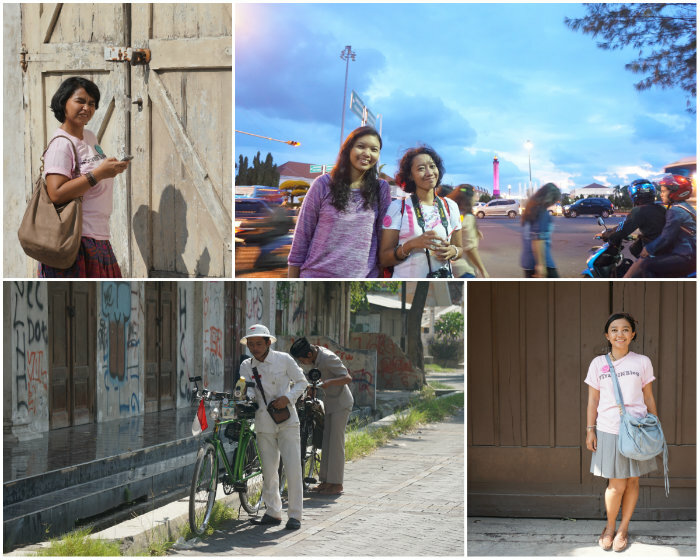 I had no idea that Indonesia has such a vibrant travel blog community … looks like you all had a fun time in Semarang!